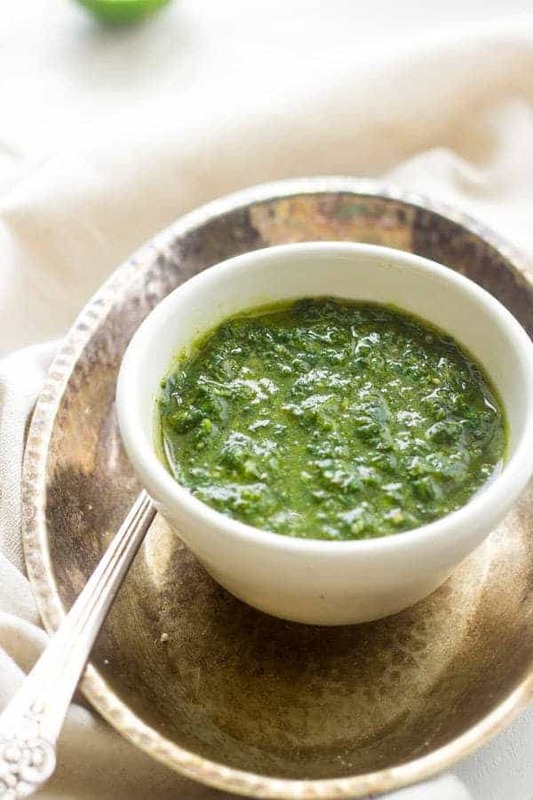 This chimichurri sauce recipe is made with kale and is a healthy, quick and easy sauce, perfect for serving over meat. I am SO pumped for today you guys! I just did that for the EFFECT. Did it work? Remember my friend Julia from The Roasted Root? I introduced her to you a while back when we drank delicious Chocolate Protein Smoothies and talked about her fabulous book – Delicious Probiotic Drinks! Well, this crazy talented lady has done it AGAIN! Thasss riiighhhttt….she has got another book! I know, is there anything that she CAN’T DO? This amazing book is called “Let Them Eat Kale!” and it’s full of delicious recipes using, you guessed it (I hope,) the wonderful, vegetative, leafy goodness that is kale. This book is JAM PACKED with 75 delicious recipes, health benefits/ information, different kinds of kale prep, and stunning photos (this girl can SHOOT) and I basically want to eat all of the pages. Side note: Let’s invent that? Eat-able pages. I like it. 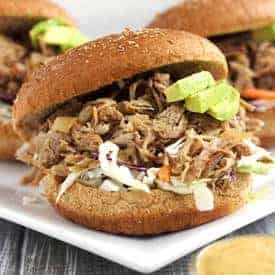 I wanted to create one of the recipes to share with ya’ll and it was SO hard to pick one. I even had the Huberoni helping me pick. We had a tough time. After much ponder-age, we decided upon the Chimichurri Sauce. We actually experienced the taste of this wonderful sauce back on our honeymoon in Mexico, so it has a very special place in our hearts. So special….that we forgot about it and haven’t eaten it since. What is wrong with us? ANYWHO. That situation was remedied by the discovery of Julia’ yum-tastical recipe. And, not only do we want to pour it on all the things that we eat forever due to the yum factor, it also took me about .00005 seconds to make. Okay, maybe .00007. We poured this on some spicy grilled sweet potatoes (read: we had some potatoes with our chimichurri) and our taste buds did this –> 🙂 dance. You know what the best part about this whole dealio? 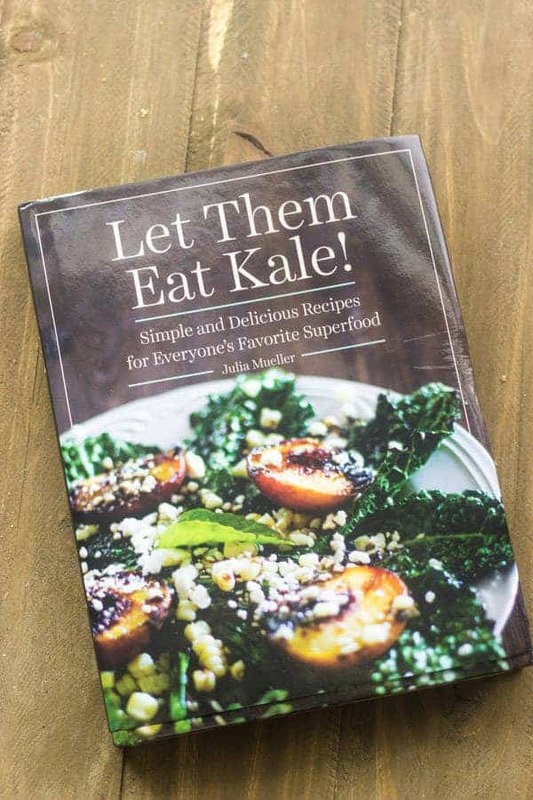 Julia is being ultra-fab and generous, and letting me give one of you lucky readers a copy of “Let Them Eat Kale!” so you too can eat kale salad recipes forever and ever, and enjoy every leafy moment of it. Entry is simple! Just use the widget below. Oh, don’t mind me, I’ll just be over here swimming in chimchurri. Turn blender/processor on a low speed to chop the ingredients. Slowly add the oil while the machine is on. This sauce is perfect for steak, fajitas, salads, burgers etc. This sauce looks awesome. I love fresh and delicious sauces that take a short time to make! This book sounds great, I love the Roasted Root! Yay another RR lover! You would love this sauce then Lauren! I love kale and I’m so glad it’s so popular right now! Me too! It’s so yummy! 😀 Thanks Bri! Kale is great way to satisfy the healthy side of life. What a great new way to incorporate it. You are so right!! Glad you like it Tom – thanks! 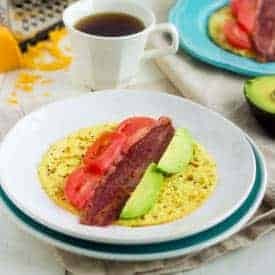 YES – I will buy a cookbook and support you in anyway! Yes – am still being serious 150%! Yes! She is! Thanks lady! 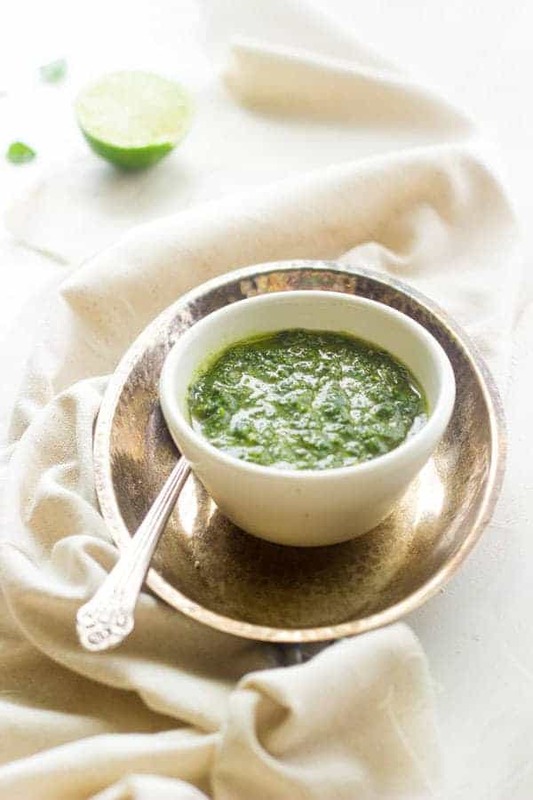 Love these pictures and how you made a green sauce look so pretty! Looks delicious too! It was hard!! Thanks so much Mallory! Grab me a straw, I just want to slurp up that chimichurri sauce!!!! I want to borrow that fancy silver spoon and dish!! Haha Thrift shop it girlfriend! Eat-able pages. He he he he. What flavor would your eat-able pages be? Double Chocolate Chip Brownies? Maybe…I’d want different flavors I think. It would motivate me to eat through the day. That sauce would go great on so many things!! I love Julia’s cookbook–it is fabulous! Wouldn’t it?! It sure is! Thanks Julia! Giiiiiirl! Thanks so much for your sweet comments about my book! I’m so glad you and huberoni are enjoying it! 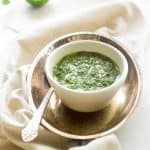 I’m PUMPED that you made the chimichurri sauce – that was my favorite sauce in the book and I put it on eeeeeeeverything! Love ya girly!! We have a ton of kale in our garden right now, which means that I must get my hands on this book. 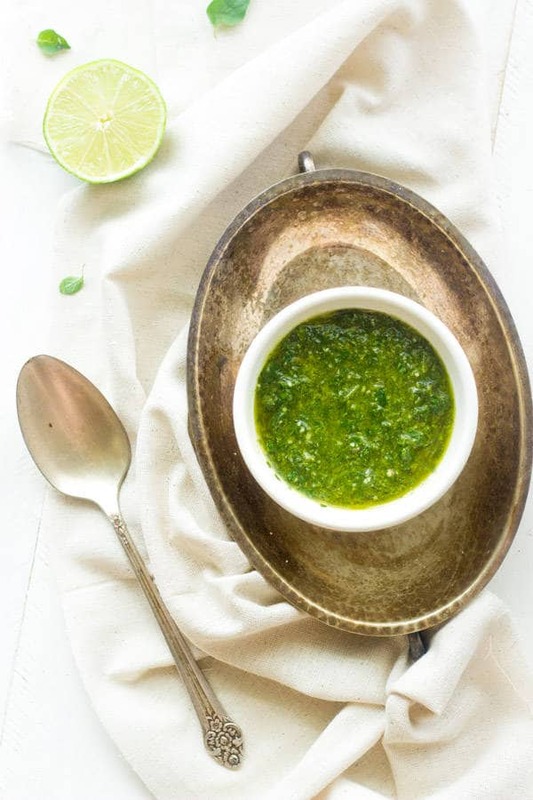 I love this take on chimichurri! I am just dying for these photos Taylor. Really they are amazing. Love the light and comopsitions. And this book. I need a copy! STAT! Eee! I am SO excited to get my hands on Julia’s new book! I’m even more pumped to try this GORG sauce! Girl, these photos rock! I wanna dump this sauce over basically everything. And can I join you for a morning swim in some chimchurri sauce?? 😀 Pinned! Girl, you would DIE over the book – it’s SO awesome! Thanks! It’s so funny because I debated re-editing them because I truly don’t like them! 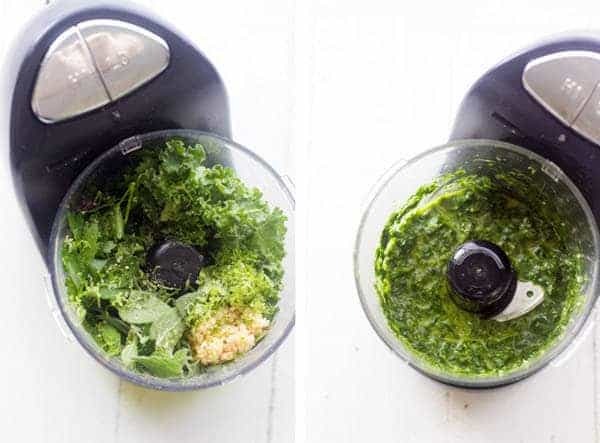 Who knew you could make chimichurri from kale? I happen to have a huge bunch of it right now too. I LOVE chimichurri!!!! And this looks so green and gorgeous. Isn’t it SO GOOD!! Thanks lady! Can’t wait to see your design! This book looks so amazing, and I’m an absolutely chimichurri sauce FANATIC, so I totally need to try this ASAP. Pinned! It is so easy girlfriend, you totally have to make it! 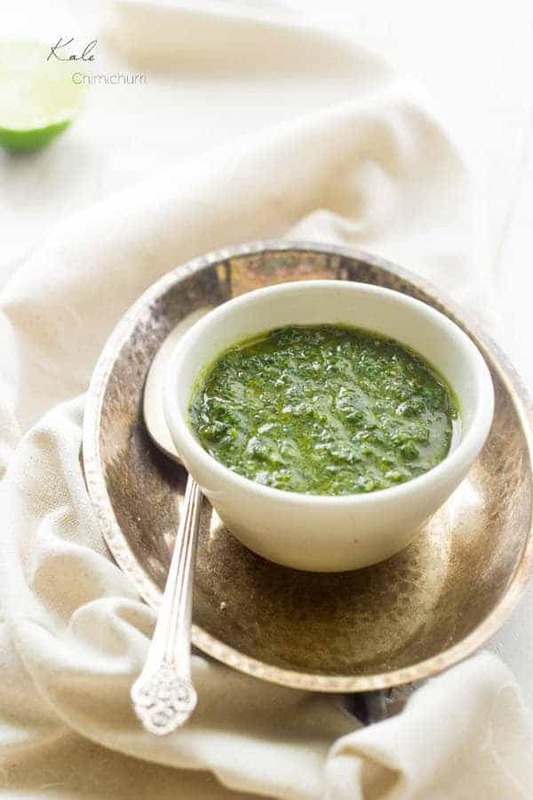 Love chimichurri sauce, and don’t make it enough – ok rarely, maybe once in the last 5 years!!. Why is that? Silly, Silly, Silly. Well, now it’s on my radar and I’ll be mixing up a batch of this soon. 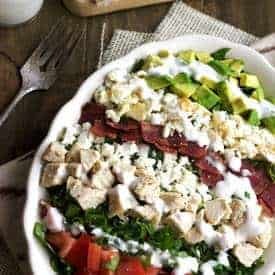 My husband is big into kale these days so this will be perfect. Thanks for sharing. Thanks also for introducing Julia, The Roasted Root and the cookbook. I really like her site and look forward to inspirations from her. I don’t make it enough either, so you aren’t alone Karen! Glad that I could remind you! Kale Chimichurri! Genius! This sounds and looks really good – adding it to the menu now. Yay! I hope that you love it! Thanks Allison!